Bolton Abbey is a beautiful place in the heart of the Yorkshire Dales. Situated on the banks of the River Wharfe there is 30,000 acres of countryside and over 80 miles of footpaths. The car park has ample space for picnics, barbeques and playing. You can find toilets, shop and cafe at the Cavendish Pavilion near the car park. There is something for everyone exploring the Priory ruins and its history and legend, saunter along the riverside, woodland and moorland paths or take a stiff walk up the hills. The 12th century priory ruins and the parish church are free to wander round. After the dissolution of the monasteries in 1539 the nave of the priory was allowed to continue as a parish church and all the other priory buildings were stripped of their lead roofs, leaving the stone work exposed to the elements which in time began to weaken and fall down. 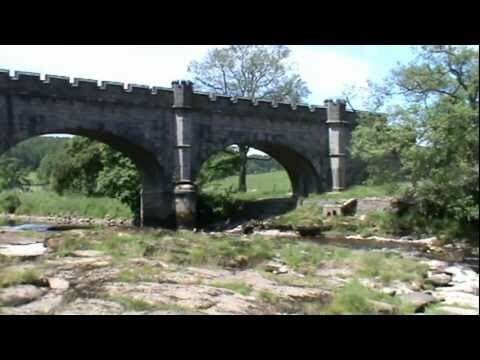 The good stone was used in buildings and can still be found up and down the Wharfe valley. Strid Wood is an ancient woodland and is a Site of Special Scientific Interest and is one of the largest acidic oak woodlands in the Yorkshire Dales and where flora and fauna are in abundance throughout the seasons. The Strid is where the broad River Wharfe becomes narrow and the water gushes with force, it gets its name from the fact it is a stride wide. The Strid was formed by the wearing away of the softer rock by the circular motion of stones in hollows thus forming potholes which over time became a deep water filled chasm. Take much care around the Strid as it can be dangerous and very slippery. 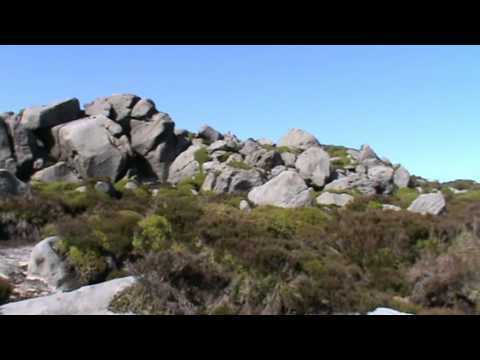 Simon’s Seat is a lovely stiff walk with beautiful views especially from the summit and a great place for clambering between the rocks and to relax and have a picnic. The Valley of Desolation was made by the great storm in 1826 and over the years nature has repaired the devastation. After the last Ice Age when the ice retreated the waters in the gill have deepened in the valley creating spectacular waterfalls. In 1999 eight thousand trees were planted in this valley. Please keep dogs on leads at all times in the woodlands so as not to disturb the wildlife and prevent damage to the woodland flora and fauna and also for their own safety. Please note dogs are not allowed at any time on Barden Moor or Barden Moor access area’s including Simon’s Seat and the Valley of Desolation. We walk over the bridge near the Prioy ruins and take a good look round. We then go up to the road and walk a short distance before turning right and head down to the car park and the Cavendish Pavilion. Just past the Pavilion we walk into Strid Wood with the river on our right and follow the footpath to the The Strid and then on to the large foot bridge, which was once an aqueduct, if you wish you can carry on following the footpath to Barden Bridge and come back on the other side of the river. We go over the bridge and here you can turn right and follow the river path back to the Pavilion OR as we did go up the steep path straight ahead. We cross a road then up to a tree line where we turn right and follow the path with the wall on our left. We come to a ford and a track on the left which we pass then shortly after that we turn slightly right still going uphill until we come to the rocks of Simon’s Seat. After a rest we take the path going down to Truckle Crags. We then come to a t-junction and take the left hand path down towards the wood in the distance. We go through the wood to the Valley of Desolation then follow a stream on our left for a short way before going over a foot bridge and then with the stream on our right we head towards some ponds. Looking to the right you will see a waterfall though the trees. We walk a little further and go down a narrow path to the bottom of the waterfall, well worth going to have a look. We walk back to the ponds and carry on following the path until we come to the road here we turn left and then after a short way take the path on the right which takes us to the wooden bridge back at the Pavilion and car park. It is an easy, flat walk around the Cavendish Pavilion and along both sides of the River Wharfe which is suitable for wheelchairs. The wheelchair paths are signposted. Simons seat is hard walking going up to 485 metres. The riverside walk, from the pavilion, suitable for wheelchairs is approx 3.75 miles and up to Barden Bridge is approx 5 miles. Taking in Simons seat from the abbey is approx 8.5 miles. We used OS map OL2. Bolton Abbey which is in the Yorkshire Dales. There is ample parking by the River Wharfe near the Cavendish Pavilion. The admission fee is per car. From York take the A59 through Knaresborough, Harrogate and Blubberhouses then at Bolton Bridge roundabout turn right and Bolton Abbey is on the right. There are public and disabled toilets at the Cavendish Pavilion. For refreshments there is a cafe come shop at the Cavendish Pavilion. There are also restaurants, cafes, a brasserie, shops and refreshment kiosks at Bolton Abbey. the 50s of and on )as possible to Yorkshire our favourite ! But we live in a wonderful country!